At H & E Smith our fireplace hearth tiles continue to be an extremely popular product range. 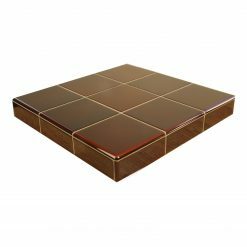 Due to their heat resistant properties and high quality finish, these tiles are frequently used to form a functional and decorative display around fireplaces. 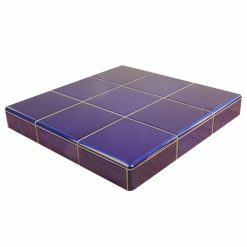 The extensive range of colours and styles available in these tiles make them an interior design ‘must have’. 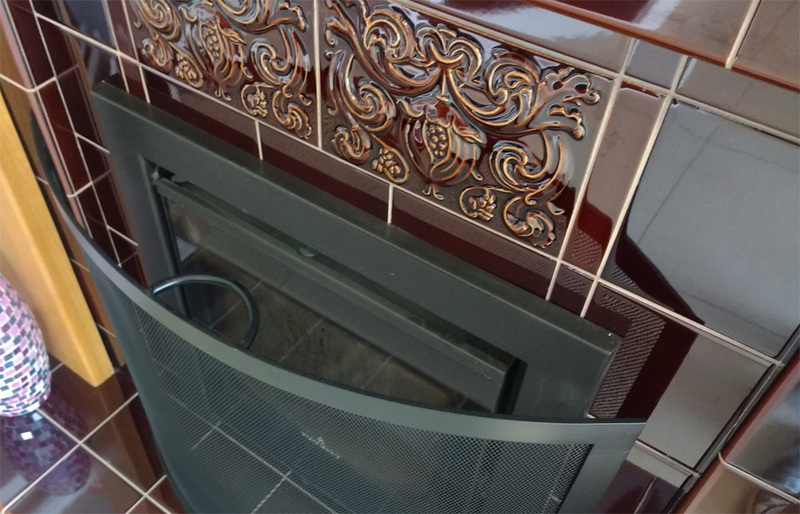 People installing cast iron combination fireplaces and cast iron fireplace inserts frequently pair them with fireplace tiles, which are designed to be displayed in vertical columns framing either side of the fireplace opening. 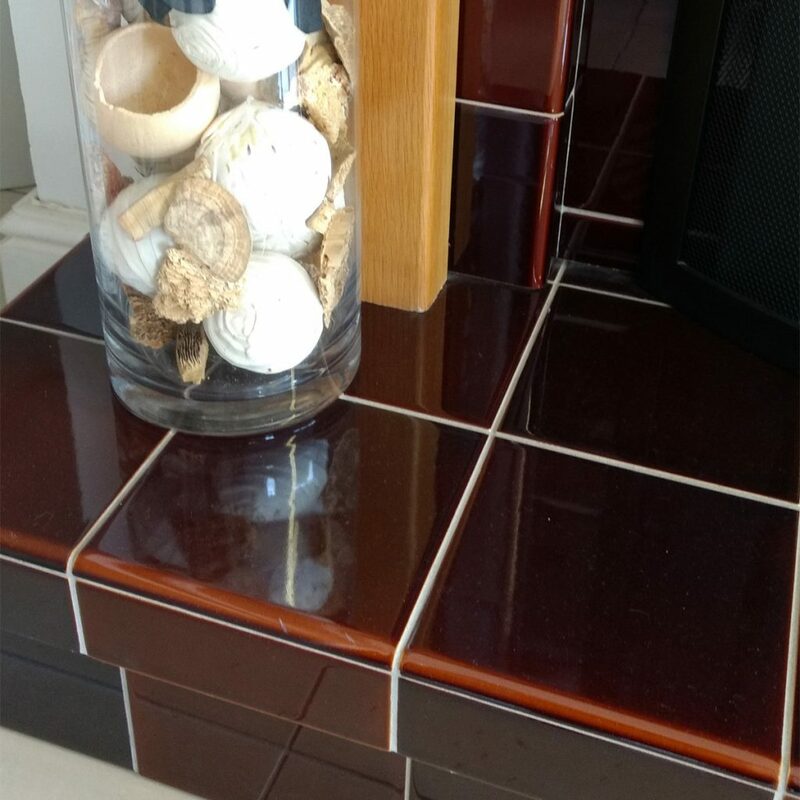 At FireTile we manufacture and supply all major types of fireplace tile, from the traditional ceramic tiles and quarry tiles to more contemporary porcelain tiles. 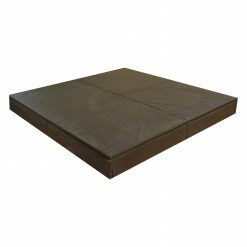 Please browse through our ranges and feel free to contact us if you require and assistance or advice. Ceramic fireplace hearth tiles have been used for many years to create a distinctive fireplace. You may be creating a new fireplace or renovating a traditional fireplace to it’s former glory. 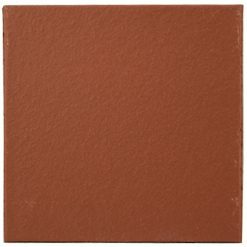 Our popular ceramic tiles are manufactured in a range of classic colours. 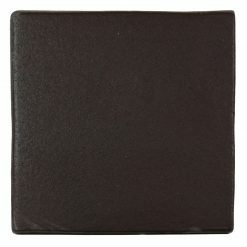 These include basalt black, victorian green, victorian blue, teapot brown, burgundy, ivory and Glaze “942”. 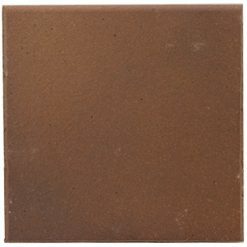 Porcelain tiles supplied in a range of sizes to suit your project. 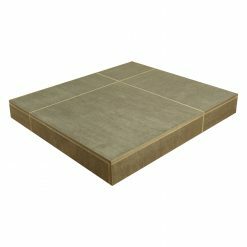 These tiles are manufactured using special porcelain clays that are very dense and have very low water absorption, less than 0.5% (whereas non-porcelain tiles have water absorption greater than 0.5%). These tiles are therefore more frost resistant than non-porcelain tiles. 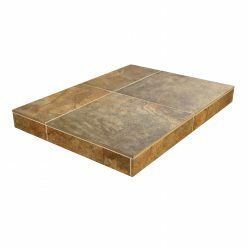 Quarry tiles are widely used for hearth tiles and floors as extremely durable materials are needed for these purposes. Typically, they are between 1.3 to 1.9 cm thick. 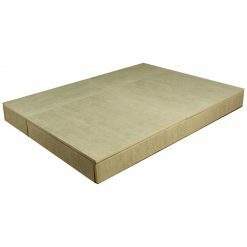 They are produced using an extrusion process, and are made from natural shales or clay, in a manner similar to the manufacture of bricks. 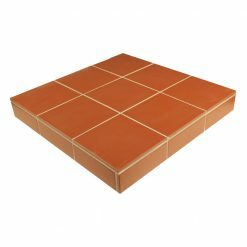 Once shaped, these tiles are then fired at a very high temperatures, around 2,000 F°. 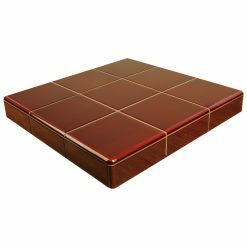 These tiles are suitable for indoor or outdoor use. 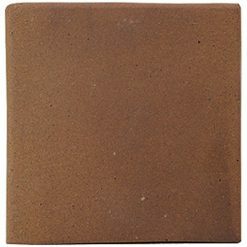 Fireplace Hearth tiles reached their heyday in the Victorian era. During the this time, the fireplace was, out of necessity, the heart of many homes. Families would gather together after the working day, and share each others company around the fireplace. The room with the fire in would be everyones favourite room in the house. Due to that affection, the Victorians would frequently make much of their fireplaces and would often decorate them with fireplace tiles. These fireplaces would often be distinctive and attractive interior design pieces in their own right. Fireplace tiles needed to have very special properties due to the use to which they were put. They needed to look great and perform well under the significant heat generated by a roaring coal fire. In the modern era, even in our centrally heated homes, many home-owners concentrate on bringing out the character of properties by faithfully restoring period features. In the United Kingdom we have a rich heritage of Nineteenth Century properties. These homes were built to last, and were made from robust building materials during what many believe to be the “Golden Age” of Great Britain. Originally established back in 1926 as Smith & Warrilow by William Henry Smith and his partner Ernest Warrilow, H & E Smith have been involved in the manufacture of tiles for nearly a century. The retirement of Ernest Warrilow resulted in the company adopting it’s new name. 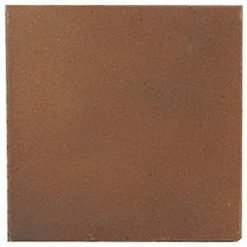 They specialised in the production of refractory glazed tiles for fireplaces. 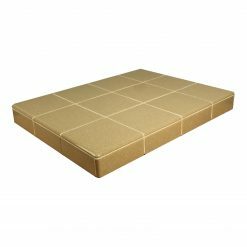 As the company grew, they expanded into the manufacture of fine quality traditionally crafted English ceramic wall tiles. 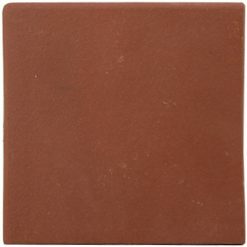 FireTile is the premier UK online supplier of fireplace hearth tiles, wall and floor tiles. 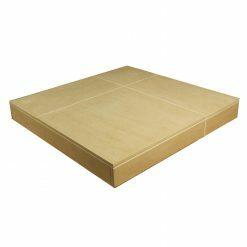 We also supply all the items you might require for successful fireplace construction. From handmade bespoke tiles to contemporary porcelain, our tiles span numerous styles and purposes. 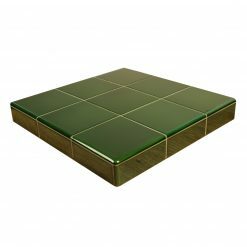 You may be interested to know that our parent company, H & E Smith Ltd also supply London Underground and Period Embossed victorian tiles, manufactured at their Stoke-on-Trent factory. 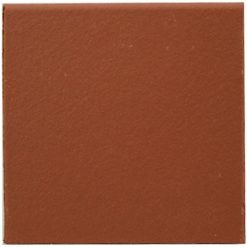 They also produce beautiful victorian hallway tiles, the Westminster floor tile collection. 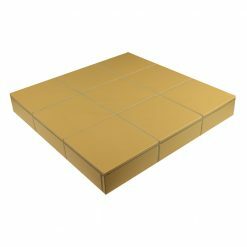 Other essential product lines supplied include solid fuel fire bricks, fire backs and coal savers, plus heat resistant grout and heat resistant tile adhesive.